I can't believe Sam is 2! I do not have a baby anymore. 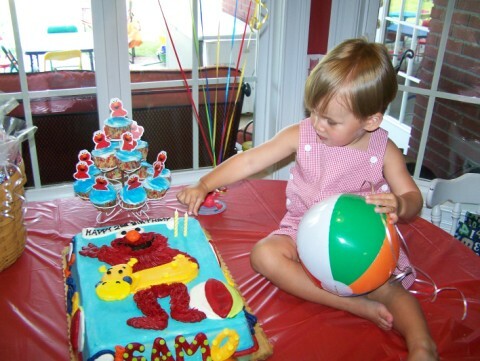 We had an "Elmo Pool Party." It was sooooo hot....but everyone still had a great time! Sam's favorite thing these days is bowling. I see PBA in his future. He got some awesome gifts, but his favorite was hands down, his bowling set. He even took them to bed with him!